Small plantation medicine case used by Dr. Duncan circa 1890. From the Georgia Historical Society Objects Collection, A-1361-190. Although the study of medical history is not explicitly dictated by the Georgia Performance Standards, it could be argued that the history of disease and medicine is integral to understanding every period of history covered in our curriculum. While some students might cringe at the notion of microscopic germs, black vomit, and field amputations, incorporating these somewhat disturbing scientific topics into the social studies classroom can foster higher levels of student engagement and provide a deeper understanding of the content covered in the standards. 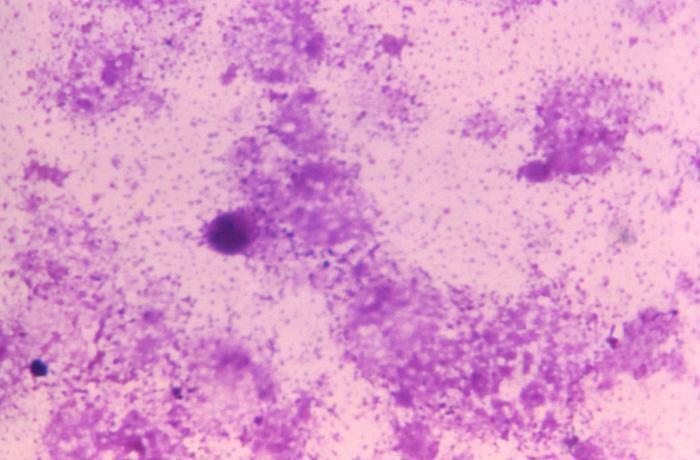 Smallpox smear stained using the Gutstein’s methyl violet staining method. Photo from the CDC Public Health Image Library. For example, students in fourth and eighth grades are expected to understand the impact of European exploration in North America (SS4H2, SS8H1). I would argue it is impossible to understand this period without a basic understanding of the diseases (smallpox, measles, chickenpox, cholera, influenza) that early European explorers unwittingly brought with them to the New World. Historians and anthropologists think that the impact of these diseases was so great that entire communities disappeared and new ones, like the Georgia Creek, were formed. The Georgia Creek are heavily featured in Georgia’s standards for second grade (SS2H1, SS2H2, SS2G2). Hundreds of years before the acceptance of germ theory, the fates of entire human civilizations were dramatically impacted by microscopic organisms. Officer’s satchel used by J.M. Solomons during the Civil War and during the 1876 yellow fever epidemic for the Savannah Relief Committee. From the Georgia Historical Society Objects Collection, A-1361-200. Students in elementary, middle, and high school study the founding of Georgia and the United States (SS1H1, SS2H1, SS4H2, SS4H4, SS4H5, SS8H2, SS8H3, SS8H4, SSUSH1, SSUSH2, SSUSH3, SSUSH4, SSUSH5), but do they learn about yellow fever? Again, yellow fever is not specifically mentioned in the standards, but is it possible to understand our country’s founding without knowing a little about the “dreaded scourge” that threatened the colonies starting in 1693 and plagued the new nation in the early 20th century? The 1793 outbreak of yellow fever in Philadelphia shut down the federal government and prompted Thomas Jefferson and George Washington to flee for their lives. Alexander Hamilton and his wife Elizabeth contracted the disease but survived. Yellow fever and other malarial diseases played an integral role in the American Revolution, Civil War, and Spanish-American War – all of which are covered in the standards (SS4H4, SS5H1, SS5H3, SS8H3, SS8H6, SSUSH3, SSUSH4). Dr. Robert G. Norton’s surgical equipment case. Fitted to hold a bone saw, tourniquet, and other tools. From the Georgia Historical Society Objects Collection, A-2404-001. Kara, a seventh grade student at Oglethorpe Charter School in Savannah, recently visited GHS to get some mentoring on her Georgia Social Studies Fair project, On the Cutting Edge: Surgery of the Civil War. 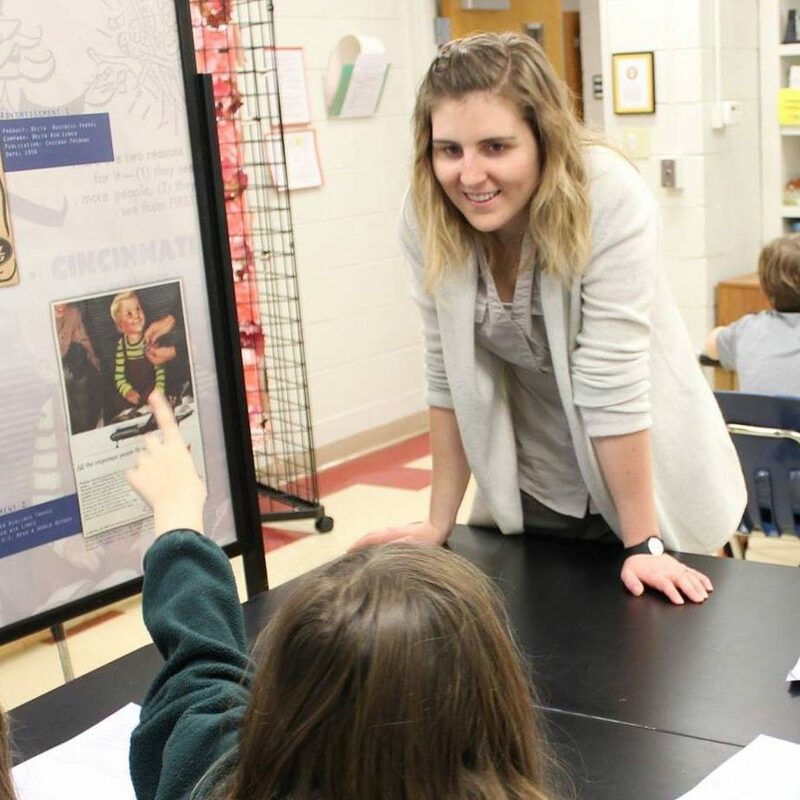 Kara’s interest in medicine and history led her to research how surgery practices during the Civil War impacted the outcome of the war and led to the medical technologies and practices of today. In addition to winning at the regional fair, Kara’s project taught the staff at GHS a few things we did not know about the Civil War. For example, did you know that Civil War General Johnathan Letterman is credited with developing the first triage system, or that anesthesia was already widely used during amputations by that time? By integrating medicine and science into her social studies project, Kara brought new life to a familiar topic and added to our understanding. Some teachers may be hesitant to bring germs, diseases, and medicine into their classrooms because students will likely not see a test question about them on their Georgia Milestones EOG or EOC assessments. While it’s true that students may not be directly tested on these topics, it is possible that incorporating them into the curriculum will help reinforce ideas they will see on the test. Perhaps more importantly, integrating these topics carries the possibility of inspiring a new or refreshed sense of curiosity about the past and how it shapes the present. Contagion: Historical Views of Diseases and Epidemics from the Harvard Library Open Collections Program. Hernando de Soto and the Impact of Spanish Exploration in Georgia. Encounter and Exchange: Early European Encounters. “Yellow Fever.” Three Centuries of Georgia History. “Early Life.” Juliette Gordon Low, 2012 Featured Historical Figure. “Yellow Fever Breaks Out in Philadelphia.” The History Channel, 2009. Origins of the National Institutes of Health: The Civil War and Its Aftermath. National Library of Medicine. Life and Limb: The Toll of the American Civil War. National Library of Medicine. Binding Wounds, Pushing Boundaries: African Americans in Civil War Medicine. National Library of Medicine.